If you think of more Chuck Norris Antitrust Facts, pls send them to us. If Chuck Norris had been in charge of EU competition law in the past, he would have introduced a very succesful self-incrimination programme that stipulates treble fines for breaches of the competition rules. 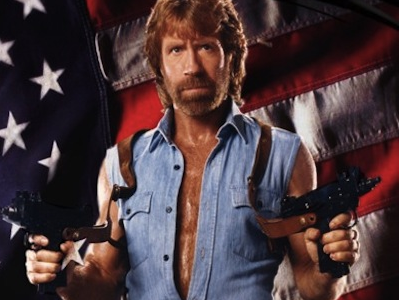 Best Chuck Norris antitrust quote: ”My vision of tomorrow for Intel, here and now; obey the law“. Or was this Neelie Kroes??? Following yet another complaint, the Commission asked Google why Chuck Norris did not feature in search results. Google replied: You don’t find Chuck Norris; he finds you. Chuck Norris doesn’t break Commission seals, Commission seals remove themselves when Chuck Norris tells them to do so. Breaking news : “Chuck Norris appointed Head of the Unit in charge of beatdown and roundhouse kicks. Stay tuned for updates on Chuck Norris’ first steps in DG Comp”. Chuck Norris can divest assets with a side kick. Chuck Norris can stop a merger with a finger. Should Chuck Norris be director of DG Comp, no leniency would be granted, because Chuck Norris shows no mercy. All purchases of shares made by Chuck Norris are notifiable to the Commission as they always result in a change of control. Chuck Norris’ supermarket visits provide a textbook example of buyer power. If Chuck Norris was in a cartel, the Commission would beg him for leniency. What’s the difference between Chuck Norris and the Commission? None, they both prosecute and adjudicate the villains, normally showing little mercy for them. And, they would eventually seek to obtain compensation from them, if they are still around and not gone bankrupt! Chuck Norris has been working for the Higher Regional Court of Düsseldorf. That’s why the Court can delinate the relevant geographic market BEFORE delineate the relevant product market. I would like to propose the link exchange deal with your website chillingcompetition.com, for mutual benefit in getting more traffic and improve search engine’s ranking, absolutely no money involve. We will link to you from our Fashion and Women authority site – https://www.souledamerican.com/, from its homepage’s sidebar. In return you will agree to do the same to link back to one of our client site, from your chillingcompetition.com’s homepage too (sidebar, footer, or anywhere on your homepage), with our brand name Harajuku Fever.